Welcome to the Advanced Centre for Plastic Surgery and Medical Day Spa, a specialized medical spa serving the Dr. Phillips and surrounding communities in Central Florida. Our goal is to provide the safest and most effective pharmaceutical-grade skin care treatments and products available in a tranquil spa environment. Unlike day spas and salons that offer skin care, we use only clinically proven, professional strength skin and body care products and treatments, always administered by a Licensed Medical Aesthetician. We strongly believe that by using a proper daily skin regimen, together with medical-grade skin treatments, you can achieve and maintain healthy, radiant skin. We provide a variety of clinically effective skin and body products from Image® Skincare, PCA SKIN®, and the Silagen® Scar Refinement System. We also recognize the vital importance of skin care for patients undergoing aesthetic facial surgery, as healthy skin heals more quickly and responds better to surgery than untreated skin. At the Centre, we will coordinate pre and postoperative treatments together with your surgical plans. 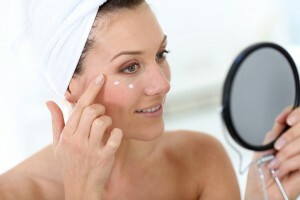 We offer a complimentary skin care evaluation with our Medical Aesthetician. She has undergone extensive and advanced training beyond most facial specialists, and is considered an expert on skin matters and in chemicals used in skin products. Using special magnification, she will examine your skin and discuss heredity and lifestyle issues as they relate to your skin’s condition. Depending on your goals and lifestyle, she will recommend a treatment plan that is best suited for you. Each product and treatment has been chosen for its effectiveness and overall benefit, and all treatment protocols are under the guidance of supervision of plastic surgeon James Matas, MD, the Medical Director of the Medical Day Spa. At our Medical Day Spa we offer a wide selection of PCA SKIN® clinical skin care products. For more than 25 years, PCA SKIN® has developed a trusted skin care line based on a proven process of aesthetic science. Our highly-trained Medical Aesthetician has chosen the PCA SKIN® line because of the efficacy of their formulas and the impressive skin improvements they can achieve. The selection of PCA SKIN® products we offer is suitable for many skin types and can be the perfect complement to our Medical Spa skin treatments. PCA SKIN® incorporates medical-grade active ingredients and state-of-the-art formulas designed to correct a broad spectrum of skin issues for healthy, beautiful skin. Whether you are looking for a daily skin care regimen or specialized anti-aging products, a complimentary skin evaluation with our Medical Aesthetician can help you find out which PCA SKIN® products and treatments can deliver the best possible results. 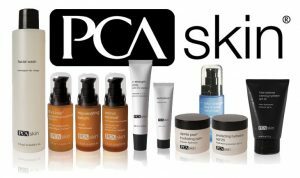 While we carry a fair amount of the PCA SKIN® products in our office, we are able to order any additional products you may desire. To schedule your complimentary skin evaluation, or to ask a question about your skin, contact us at info@yournewlook.com or call (407) 792-0429.